with a focus on rich color nuances, fresh seasonal variety, and expressive shape. ...the most divine bouquets EVER seen. Swoon, swoon swoon, dreamy non plus ultra. It was fantastic knowing that whatever you created would be gorgeous and appropriate... Bravo Skye.. - Patty C.
I can't even express how perfect everything was - the corsages for our moms and sisters being similar but all different; the boutonnieres...and the bouquet 😻 - Amy S.
@doeandjay...you CRUSHED IT!!! - Christina P.
We received so many compliments on the decor, as it was so "us". She nailed it! - Kara W.
Skye was responsive, fun, creative and flexible. Every time I talked to her, I felt calm and excited about the wedding because she inspired so much confidence. 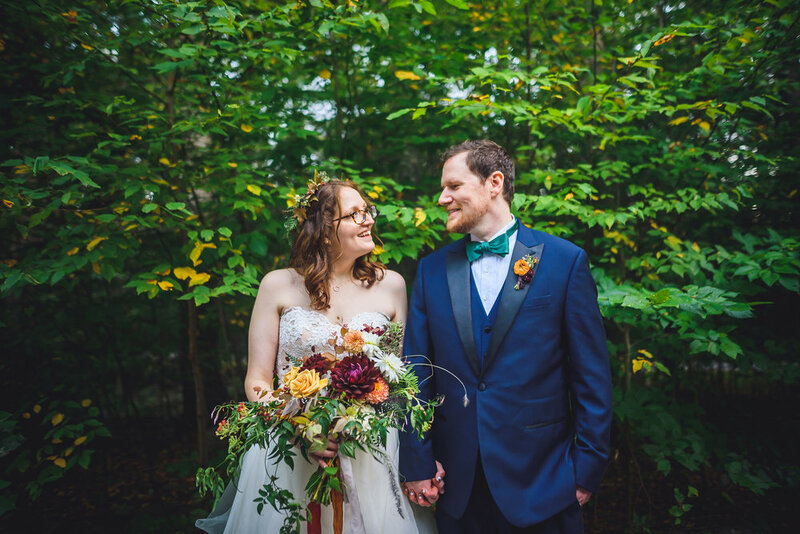 The flowers turned out incredibly gorgeous and were easily one of our favorite parts of our wedding. - Katy J.
Hi! I'm Skye. Originally from Eden, Utah, I have lived in NYC for the past 10 years! Doe + Jay is the result of a project I started in 2014 as a way to reconnect with my creative roots, while remaining engaged with my urban surroundings. I believe that flowers can enhance our life experiences, and help shape the way we remember them. Some of my most vivid memories involve flowers, and working with them excites and energizes me. I love helping to create beautiful memories for others. The studio is named after my beloved great aunt and uncle, who had a profound impact on my aesthetic sensibilities and encouraged my creativity always. I'll get back to you quick!